After my last attempt to get into Nina's failed as the dining room was full, I decided to make a return trip to the Dunmore establishment. After all, what better did I have to do - Hurricane Sandy knocked my power out and I was experiencing cabin fever! So I teamed up with a friend and headed to Nina's where we were greeted by many open seats to my delight. 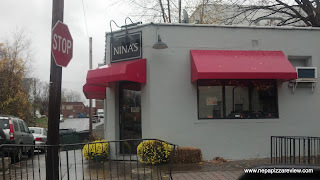 My friend was more experienced with Nina's having eating there several times, and told me of the famous massive hoagies for around $9, which essentially gets you 2 full meals. As we were waiting to order we also saw some delicious meals being served including the touted boneless hot wings, which looked incredible. 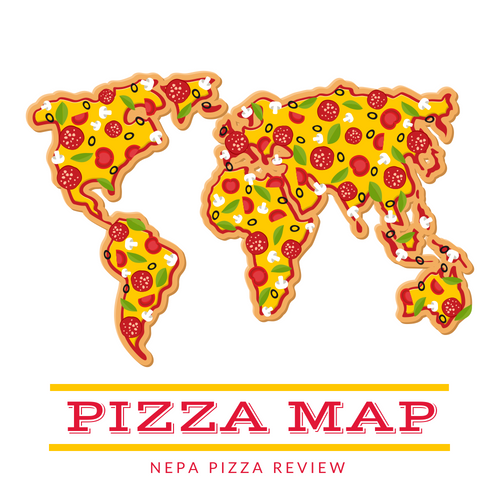 We decided to get a pizza to share, and I ordered some hot wings to review on my other blog (check that review out here!). 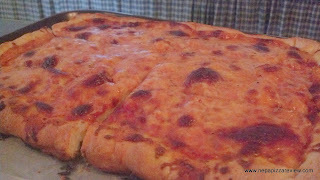 When the pizza came out, it had a striking resemblance to Maroni's Pizza in Scranton with the american cheese burned on the top, and a trademark dark orange/brown color to the pizza. The taste test also netted a similar result to Maroni's minus the peppery sauce. The crust was clearly homemade, and we appreciated how the pizza maker formed a crust on all 4 sides of our half tray, rather than hacking a shell in half and having the cheese run down the side as most places do. 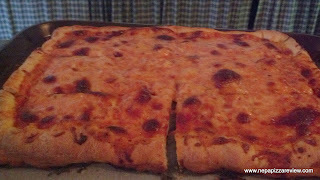 The dough proved to be quite tasty, with a consistency more like a New York style crust, rather than a bread-like sicilian or old forge crust, which was a nice change of pace, and made the outer crust very crunchy and tasty. Unfortunately, we both noticed that the crust in the middle of the pizza was basically white and quite soggy. It could have been cooked longer, or directly on the oven's bricks, but certainly didn't take away from the flavor of the pie. The cheese blend was presumably american, maybe cheddar, and parmesan. 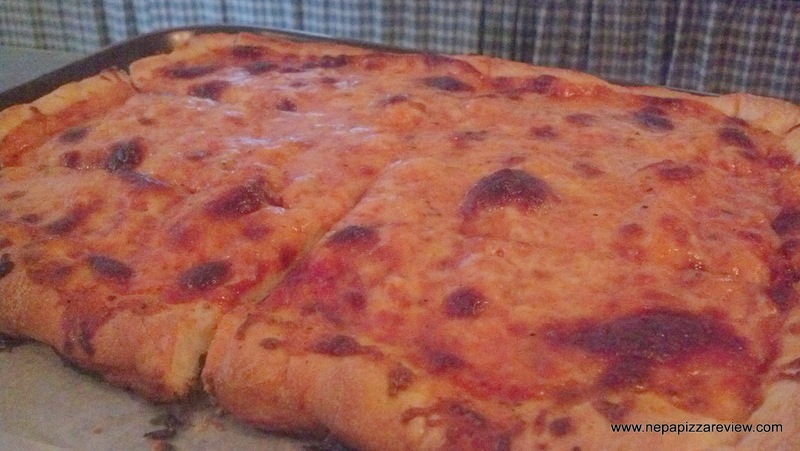 Putting parmesan on a pizza provides a pungent flavor, but saps the moisture out of the pie. There was very little sauce, so the overall result was a bit of a dry pizza, but with great taste. I would have doubled the amount of sauce on the pie, and cooked it on the brick to finish, and this pizza could have earned even higher marks. That's not to say it wasn't good, just could have been a little better because the ingredients are there, it just wasn't cooked exactly to my tastes. Overall, I thought it was a pretty good pie and would recommend it along with the wings which I also reviewed!